31 Days to go to the event starts! ENTRY IS NOW OPEN - click enter online, fill in the form, select a payment method and make sure you pay by the deadline! Early entry has been extended until midnight on 30th April. Some local charter RS400s and RS200s are available for the whole event or just for the weekend - fly in, sail, party fly out, brilliant! Some additional UK multi stack spaces now available! 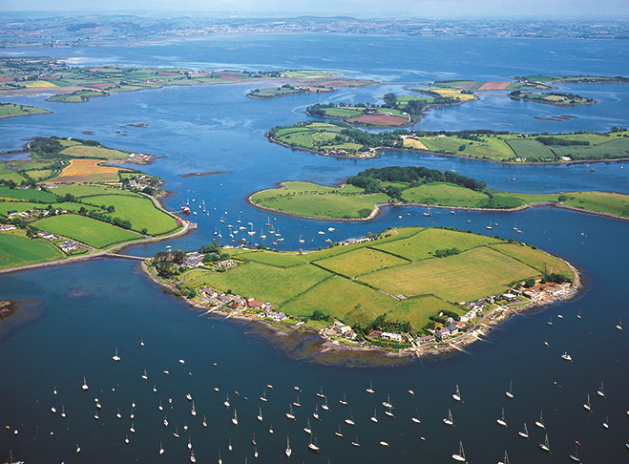 We are delighted to announce that Strangford Lough Yacht Club in Northern Ireland will be hosting the 2019 RS200 Eurocup over the Bank Holiday Weekend 24th - 27th May 2019. The RS200s will be joined by the Irish and traveling RS400s over the weekend. We expect 20 or so local 200s and are looking forward to a large turnout. SLYC is a gem of a venue and has an extensive sailing area that is sheltered from the Irish Sea. The race area, reached in under 5 minutes from the club, offers fair racing with minimal tide and has proved a great location for many high profile events. As with any championship held in Ireland the craic will be mighty and we can guarantee a great social agenda! The entry fee includes the Saturday Night Championship Dinner. Core to planning the event is keeping travel and accommodation costs down as far as possible - and with the venue only 45 minutes from Belfast, it will not cost you a packet. The Lough is a large inlet with access to the Irish Sea via a narrow channel called the “Narrows” several miles to the south east of the club. The rise and fall in the lough is in the order of 3 metres, and whilst the tides in the Narrows can reach 6-7 knots at high springs, the tides are a lot weaker than that further up the lough and in our race area they peak at around 1-1.5 knots in springs. There is some differential in tide across the course as the depth varies, with the deeper water to the east. There is however nothing particularly unusual about the tide in the race area; the tide turns earliest towards the shore and will change direction last in the deeper channel. There is a minor local effect with water coming out of the “Dorns” in the ebb (that is the channels around the smaller islands between Mahee Island and Rainey Island at the north east of the race area), however that is only significant within 200- 300 metres of the Dorns and is unlikely to affect the race area. The race area itself is enclosed and in that respect is more like sailing on a very large lake. The surrounding land is quite low and so irritatingly large and unpredictable shifts are uncommon, however you can expect many smaller irregularly oscillating shifts caused by the land. So it usually makes for a great race area with a combination of shifts and relatively minor tidal differential across the course making it tactically challenging and varied.